The days of parking on the side of the road with your window painted are over. 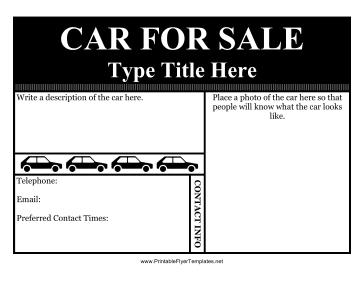 To get the attention of potential buyers, you need car flyers like this one. This sale flyer is entirely black and white and has a nice flourish of cars on it. You can also add your own picture to really get attention.